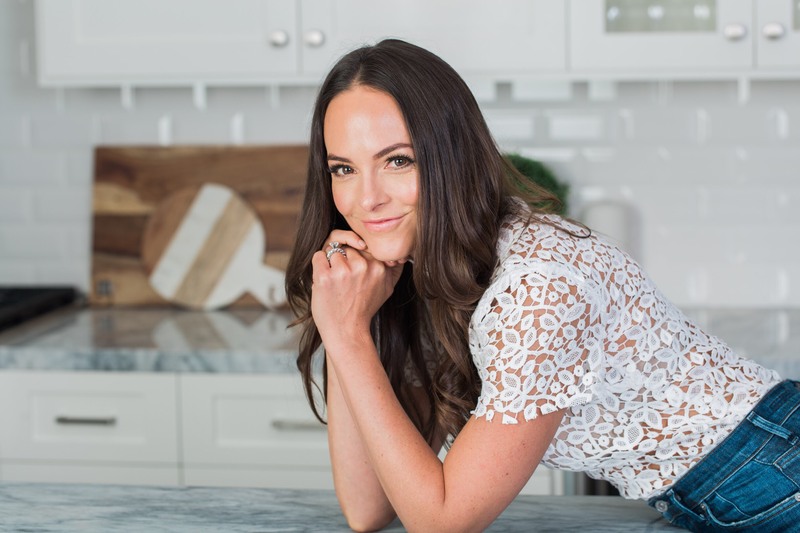 A conversation with holistic nutritionist, wellness expert, and celebrity health coach Kelly LeVeque on the importance of understanding nutrition & science in a way that empowers, and doesn’t limit our ability to live. Monica: Thanks so much for chatting with us, Kelly! We’d love to know, what first influenced your interest in health and nutrition? Kelly: I fell in love with health and nutrition in high school in my science class. It was really the first time I understood what healthy eating was about, and the way food can actually change the way you feel and everything about your body. That started a fire and a passion in me internally. From there, I started reading anything I could around health and wellness. I thought it would simply be a passion of mine, but during college, my friends relied on me as the person who could help them distill health into information that was understandable for them. Science and math always just came naturally to me, and during this time, I was always asked to read up on the latest diet trends. However, I never found myself actually going on these diets for more than a few days, and jumping from fad to fad like others were doing. Monica: It’s so true, we see so many diet trends and people want to prescribe to them just for the sake of jumping on the bandwagon. What held you back from doing what so many others were doing? Kelly: What I see often is how people take on the identity of these trends. I saw it back then, and I see it now with my clients. While these diet trends and books share research as tools that a person can use, they go on the diet automatically thinking: “This is the best, and only way to be healthy.” Whether it’s keto, or Paleo, or intermittent fasting, they believe it’s absolutely the best way to do it, without considering it’s often not a sustainable lifestyle. So it’s interesting to think back to my past, because I ended up creating something that I needed in my future, which was just a really easy lifestyle and lightly structured way of eating that helps me and other people feel good. And that’s how I frame every new trend that comes out from research: these are possible tools in your toolbox, but they don’t need to be a religion, or something you must live by. Monica: I loved how you said it was like you created something that you needed for yourself in the future; ultimately, it’s about living in a way that sustains your own health and the lives of other people. How do you think science plays into how you help people in their nutrition? That’s not the way life works. I want them to make choices based on what they like to eat, what they already have, how full they feel, and whether their bodies are feeling fed and nourished in the right way. Food can turn into something that can make people feel alienated, insecure, and feel anxious, especially when they are around others. So it’s important to be inclusive and stay flexible even as the science around food may continually change. It’s all about empowerment with their decision making. When we stick to rigid rules, that’s what really hurts us in the long run. It’s important to always be looking to add to our plate, as opposed to deprive and pull back. And it’s also about that ability to enrich and add to your life: Add the habit of meditating, working out, taking your multivitamins, or writing down what you’re grateful for. Life isn’t about having people count and track every little part of their lives, and stressing out or depriving themselves of food. Ask yourself: how can you elevate and nourish yourself, and change it to a perspective of body love? It’s about adding goodness to your plate, and adding to your life. Monica: People tend to see science as dogma rather than what it is: the latest progression of our understanding on how nutrition works. How do you want people to know how science and information can impact their health and happiness, and the mindset shift to truly thrive? Kelly: It’s so important to look at everything with a grain of salt. In general, we have to be really careful of fear-mongering and not looking at information with an all-or-nothing mindset. You have to be really careful of the latest information that comes out, take it one step at a time, and observe: “Oh, that’s interesting. How could that be a tool?” More is not always better, and neither is cutting things out entirely. There’s a fine line when people aren’t experiencing happiness because they’re so focused on their health. They think what they’re doing for their health is beneficial, such as not going out to dinner with friends because they don’t trust the food at the restaurant. Or they’re limiting how they connect with others because they’re worried too much about the food choices they’re making. It’s important to remember that the way you eat isn’t who you are. People find personal identity through food choices, and while it’s important to eat healthy, there’s so much more to life and pour our energy into. There’s more we can do for the world, being kind and of service to others, and lifting one another up. Learn more about Kelly at http://bewellbykelly.com/.